《The Eternal Love 2》Ep7：hero Liu Shang saves mei qu sandalwood. Eight princes suspect Mo YiHuai was rejected in exchange for military power. Small tan with song Jing Xin He must have had some childhood, when his character was so divided. Mo LianCheng However, she appeared behind her, and she almost fell down when she made a sudden noise. Fortunately, Mo LianCheng hugged her in time and Jing Xin left her side at once. He approached him this time, not to mention that he had violated the three chapters of the law. Mo LianCheng was glad to see her abiding by the agreement with him. They were about to get close, but the prince suddenly came back. 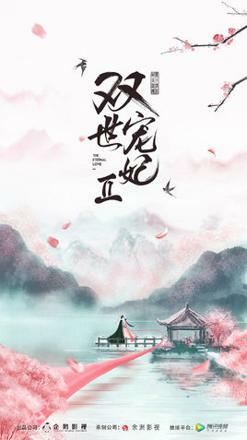 Eight wang ye received a secret letter to leave wang fu, but he soon found something wrong and turned back, there was nothing strange in the prefecture he was very puzzled, but still ordered yu hao to immediately go to the palace to see the informant, to investigate whether there was something wrong with the informant. When she saw all the gifts of toothbrush and slippers in the room, she thought that Jing wang had given them to her. However, Jing Xin said that only eight wang ye had been here, so she decided to do the same. In the study, qu xiaotong while serving tea, the initiative put forward eight hours of work and weekend day holiday uniforms. Strangely, instead of saying yes or no, he let the steward give her a hard time. It turned out that the government had recently adjusted the distribution system of silver, and the women who had been in the government for more than three years were required to receive twice as much silver as the women who had been in the government for three years or less. The former had to work three days less per month than the latter. If she could work it out, she agreed with sandalwood's vacation policy. Faced with the difficulties of eight wang ye, as a nine-year compulsory system qu xiao tan quickly calculated the answer through the solution process, eight wang ye looked at her, and also promoted her to the same level as the butler. The emperor became suspicious of the imperial concubine who paid tribute to the imperial concubine every day. The imperial concubine was aware of the order to find general wei, urging him to move as soon as possible, so as to avoid the emperor really set the eight princes as the reserve prince. After her promotion, the wind of small sandalwood mixed with water, she rode a homemade skateboard down the stairs, and almost hit two transport screens to scare. This scene is seen by the eight lords, he has not been able to make a move, but saw Liu Shang 抢先冲上前一把救下了曲小檀，两人一起重重摔在了地上。Qu xiaotang saw that Liu Shang was lying on the ground in great pain, but he was pushed away by the jealous eight wang ye to pull Liu Shang, which was even more painful when the effects of the box effect broke out. When Liu Shang woke up, he found that she was counting her heartbeat, and he couldn't help laughing. Liu Shang would like to play qu xiaotong with heartache, but qu xiaotong said that just now an old monster asked her to give him the letter, the letter said to be sure to stop eight wang ye out of the government. Liu Shang learned that eight wang ye had gone out of the government, also no longer to play, immediately with the government to save people. When Liu Shang arrived, eight wangs and yu haozheng were besieged by a group of men in black. Together with eight wangs, he fought off the assassin. Jingkang received the news after the arrival of the great wang yaofu, with Mo YiHuai Discussing countermeasures, Mo YiHuai's eight younger brothers were suspicious and would never be so credulous to others, and would suspect that someone had set up a bureau. Early in the morning, Mo YiHuai went to the eight wangfu palace to search for the assassin. However, he saw Jing Xin hurried by with a bracelet, which was originally a favorite of kotaier. Jing Xin told Mo YiHuai that she could not remember the object after she lost her memory, and he was very sad to her. He did not let her touch the dirty work. He also indulged her, which made Mo YiHuai worry that Mo LianCheng was also true to him. In the study, Mo YiHuai took the initiative to take out the badge he found in weizengfu, eight wang ye recognized that this is his inscriptions with his own intrauterine eyeliner, the brothers four eyes opposite, sparks everywhere. Mo YiHuai also suggested that if he agreed, the two men could join forces to get rid of wei's faction and help him regain his military power, as long as he was willing to cede kotonote to himself. Who expected that eight wang ye didn't hesitate to refuse, also road oneself and song small sandalwood already life and death mutually agree, can never hand over a person. After Mo YiHuai left, eight wang ye deliberately told Liu Shang that if want to join Mo YiHuai to get rid of the dugu noble concubine, qu shaoer is the best bargaining chip, and sure enough, Liu Shang immediately opposed this practice. Eight wang ye see Liu Shang to qu shaoer's unusual concern, the heart is very unsavoury. On the other hand, Mo LianCheng met 14 in private, and learned from his mouth that the eight princes had probably fallen in love with kotaier, and that his former self and himself had become rival, which made him complicated. Mo LianCheng deliberately told him to let her make herbal tea for him. He wanted to make him hate sandalwood.